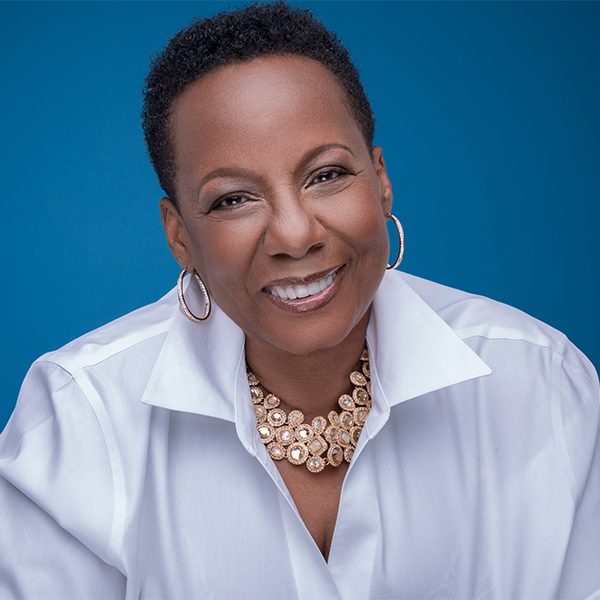 Marjorie Perry, a life long resident of New Jersey, is the President and CEO of MZM Construction & Management Company, Inc. As importantly, she is widely recognized as an innovator, public speaker, writer and role model for women and minorities in business. Using her extraordinary path to success and 26 years of experience as fodder for inspiration, Perry finds her mission to be one who motivates nascent entrepreneurs to develop and pursue their dreams by sharing the lessons she has learned from her own success, which often meant taking life's lemons and making lemonade. Trained as an educator with a B.A. from Kean College, Perry's path in teaching was diverted after she was caught in a series of layoffs in the Newark Public School system. In a fortuitous career move, she decided to try her luck in sales and marketing - which turned out to be an unexpected perfect fit. She went on to work for corporate giants 3M, Johnson & Johnson and United Airlines, ultimately cultivating a burgeoning vision for life as a passionate, self-made entrepreneur. Perry launched a consulting company focused on helping start-ups and serial entrepreneurs succeed in the marketplace. Resourceful and open to all possibilities, it wasn't long before she and two partners founded MZM Construction & Management. Soon after, she became sole principal of the company, which has sustained a multi-million dollar bottom line for the last 24 years. Perry is now a coveted inspirational speaker and writer, motivating people with the message that, "You, too, can do it!" She has spoken throughout the United States to women in business and at small business conferences on how to successfully navigate while playing in shark-filled waters. Local speaking engagements include the NJ Governor's Conference for Women, the heralded Sobel & Co. Executive Women Breakfast Series, the Liberty Science Women's Program, the National Association of Women Business Owners, and the NJ chapter of Financial Executive Institute (FEI). Perry has appeared on MSNBC, CBS, ABC, UPN 9, News 12 and NJN's NJ Caucus with Steve Adubato where she also is a proud member of the Adubato Advisory Board. She has received numerous awards and recognitions, including being inducted into New Jersey's premier business publication's NJBIZ 2011 Business of the Year, New Jersey Business of Hall of Fame, 2012 SBA Business of the Year, 2012 Best 50 Women in Business, and one of the Top 25 Entrepreneurs in New Jersey. More recently, Perry was selected by Goldman Sachs and Bloomberg in 2015 as one of the top 15 businesses in the country to watch for in the future with major growth within the next five years. To top it off, she has been selected to receive the prestigious 2018 NJBIZ Lifetime Achievement Award, which has only been presented to three other NJ business women over the years. She is also a graduate of Goldman Sachs 10,000 small business initiative. Perry is a participant in the Advisory Board for the Montclair State University Feliciano Center for Entrepreneurship, the Finance Chair for the East Orange School Board, the Small Business Advisory Board program with UBS and with The Clinton Foundation and a recent past member of the New Jersey Economic Development Authority. In academia, she is an adjunct professor at NJIT and Stevens Institute of Technology, teaching MBA students the means and methods of being a successful entrepreneur. In her spare time she sits on the Board of Overseers at NJIT as Co-Chair and sits on the Advancement Committee; Kean University Foundation Board, sitting as the Chair of the Real Estate and Acquisition Committee, assisting in the selection of new ventures which support the University in acquiring franchises or restaurants to further advance the ongoing strategic plan; and has membership in the Newark Regional Business Partnership. Perry also mentors three inner city college-bound youth because it matters that they make it too. Perry excelled in receiving her MBA in finance from NJIT with additional coursework at Rutgers, Stevens, NYU and NJIT and completed Leadership for the 21st Century at the Tuck School of Business at Dartmouth College. In addition, she completed a finance certification program in 2016. When asked why he robbed banks, Willie Sutton answered, "That's where the money is." Do you know where the money is for your product or service? How do you gain access to contracts (or sub-contracts) in the wide world of procurement?